Angela graduated from Bel-Rea in 1998 and earned a Bachelor’s of Science degree in Mathematics & Biology with an emphasis on Secondary Education at the University of Colorado Denver in 2000. During her 16 years at Wingate Animal Hospital, she worked her way up from volunteer to CVT. 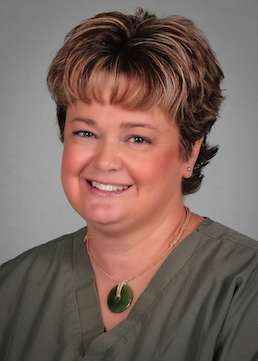 Angela also worked in human medicine as a Medical Laboratory Assistant and Phlebotomist at St. Anthony’s Central and Littleton Adventist Hospital, and has taught piano and martial arts. Veterinary Medical Terminology Guide and Workbook. Enjoys working in her yard and spending time with her animals; my sheltie named Dante, cat named BoBo, and cockatiel named Howard.